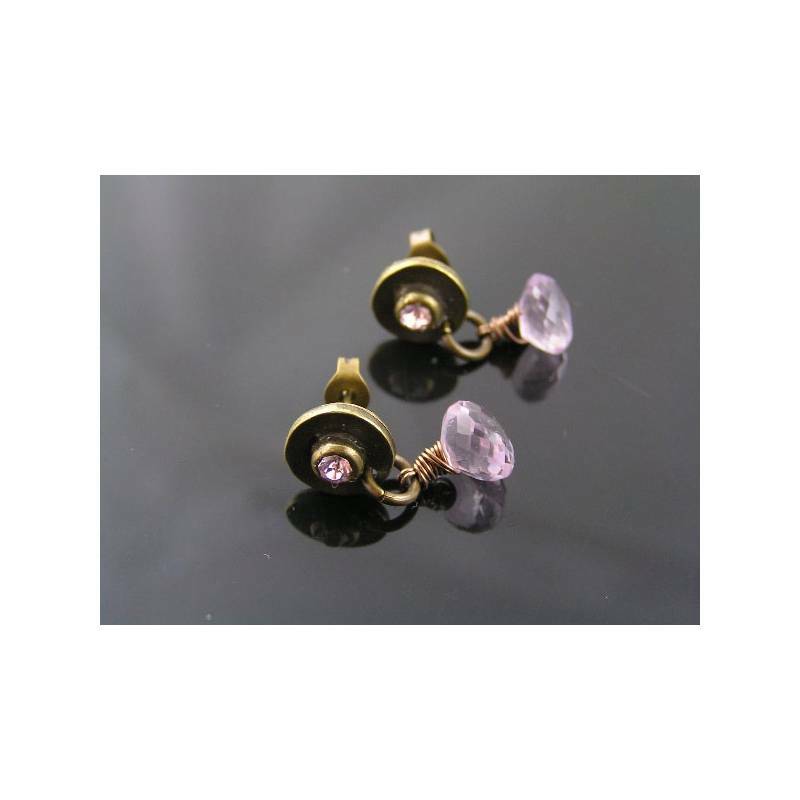 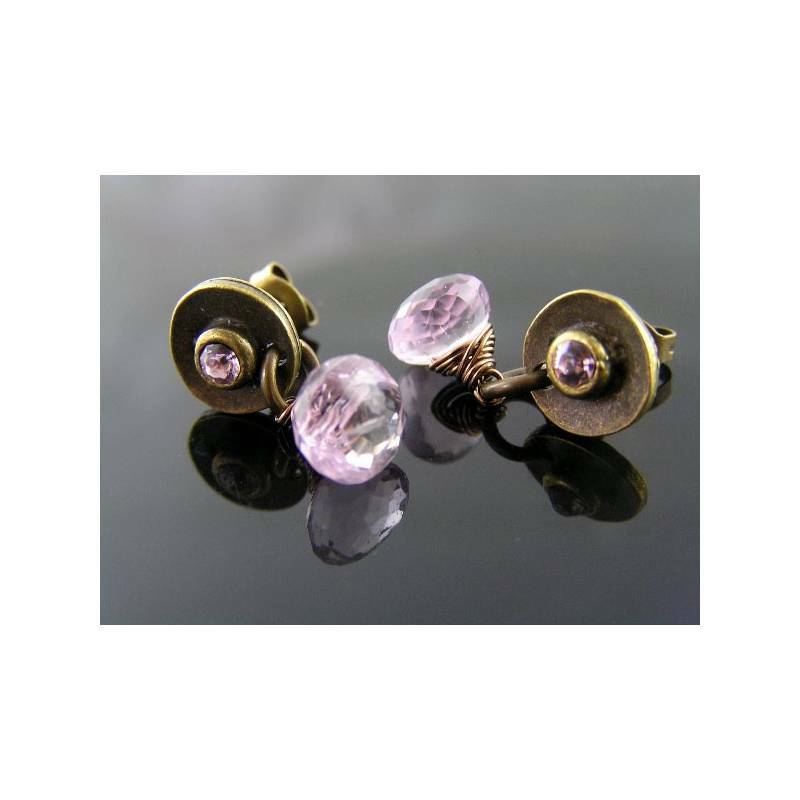 Genuine pink amethyst gemstones on matching crystal set ear studs. 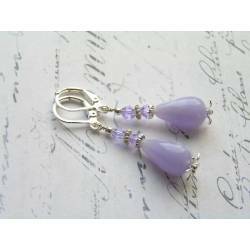 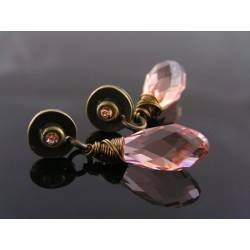 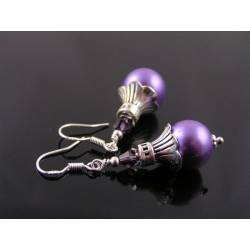 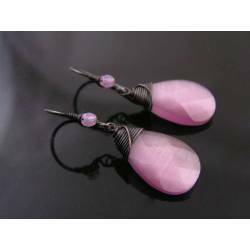 These are lovely pink Amethyst earrings. 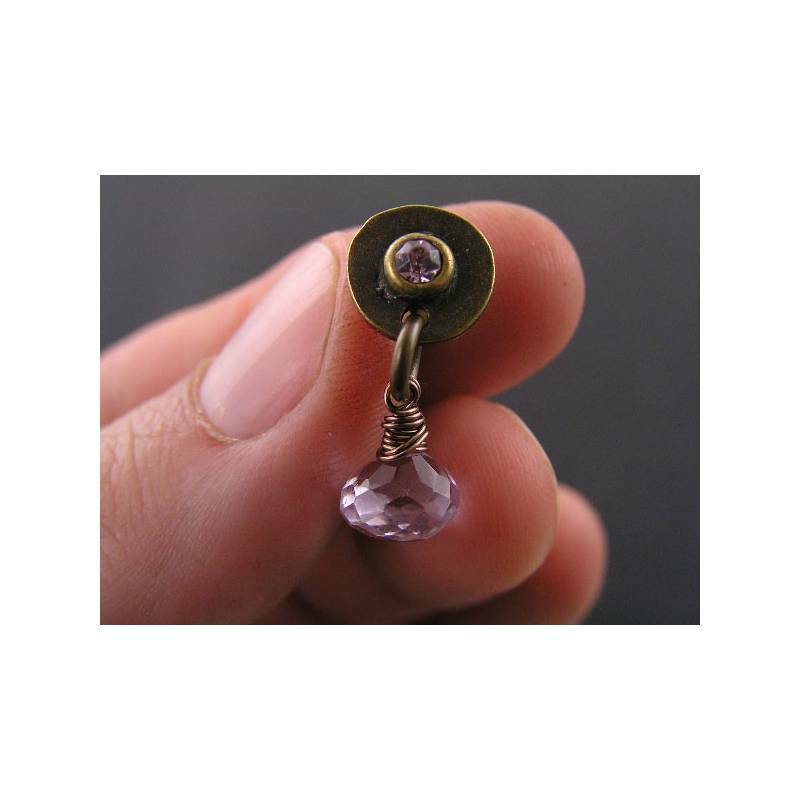 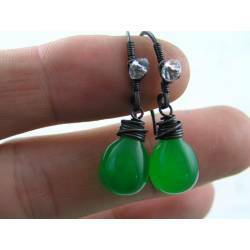 The gemstone drops are cut into cute plump onion shaped briolettes and then micro faceted for additional sparkle. I attached the wire wrapped gemstones to circular stud findings which are set with matching pink amethyst coloured crystals. 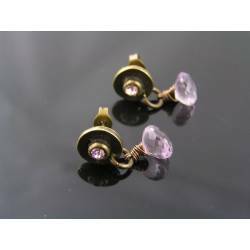 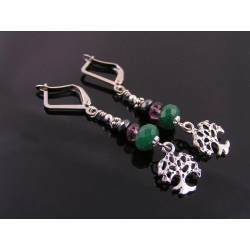 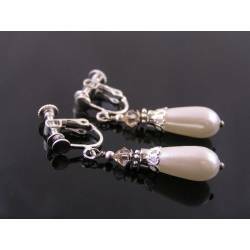 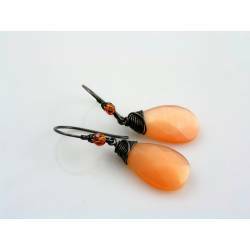 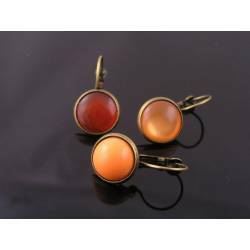 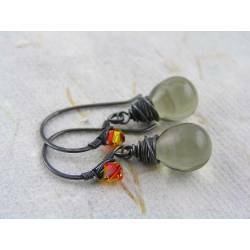 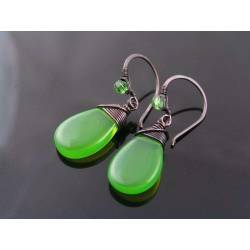 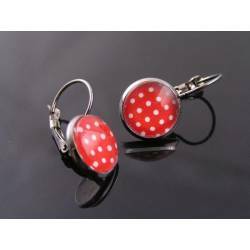 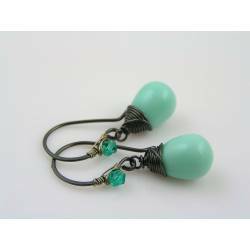 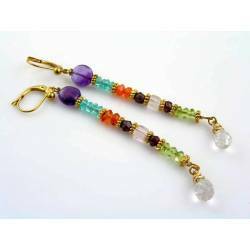 The gemstones measure 8mm in height and width, total length of the earrings is 2cm, the diameter of the crystal set disc is about 1cm. 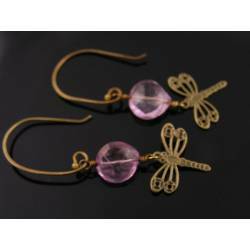 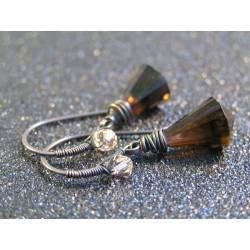 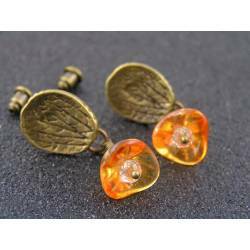 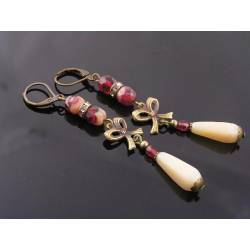 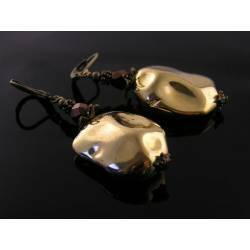 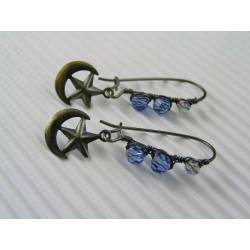 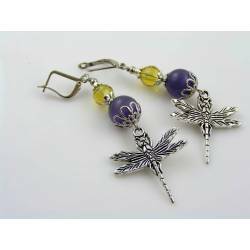 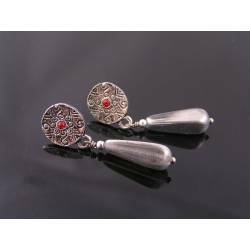 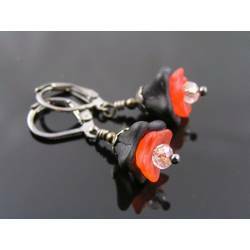 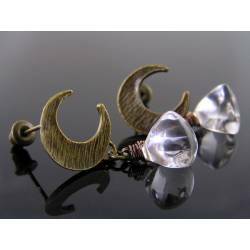 The earrings close with traditional butterfly clasps, all metal is antique bronze finished.